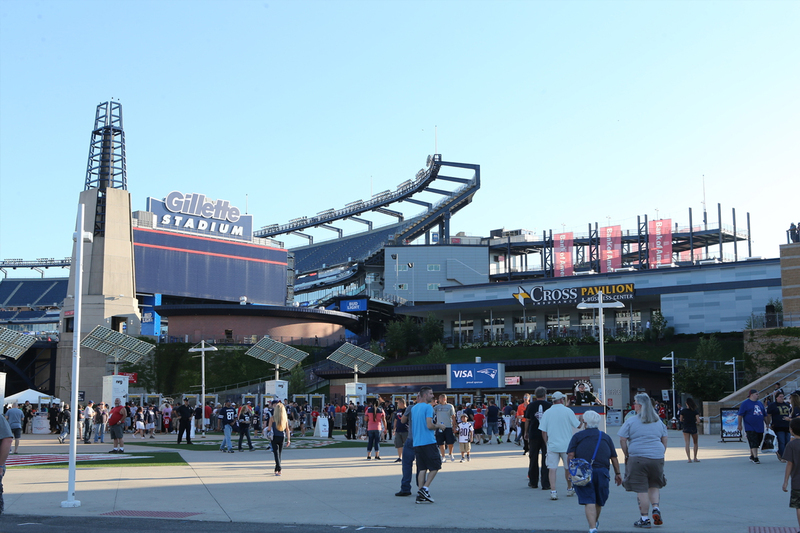 Gillette Stadium transforms from a state of the art sports & entertainment venue to a one of a kind event venue. Whether you are hosting a corporate event, gala dinner, team building activity or social party, our team of dedicated and experienced experts will create a flawless event that will stand out above the rest. Our unique spaces offer flexible and versatile function space for groups ranging from 25 to 20,000 guests. 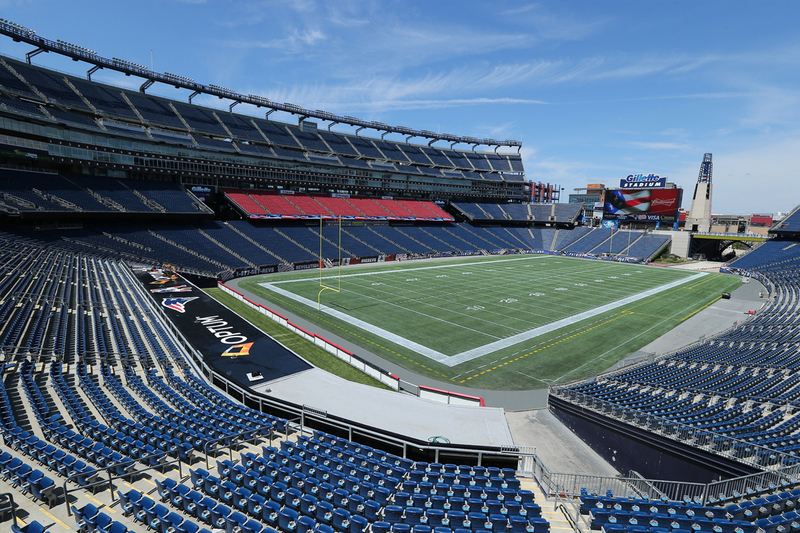 Gillette Stadium's distinctive features are sure to impress your guests and leave them inspired. Gillette Stadium's in-house, full service catering team offers hundreds of menu options from simple and fun fare to upscale fine dining. Our Director of Culinary Operations and his team can customize any menu to exceed your guests' expectations. Our in-house, full-service audiovisual services provide the essential tools for business meetings and high-production events requiring custom sound, staging, graphics and lighting. A highly-qualified, professional staff with an impressive inventory of equipment ensures flawless event presentations. 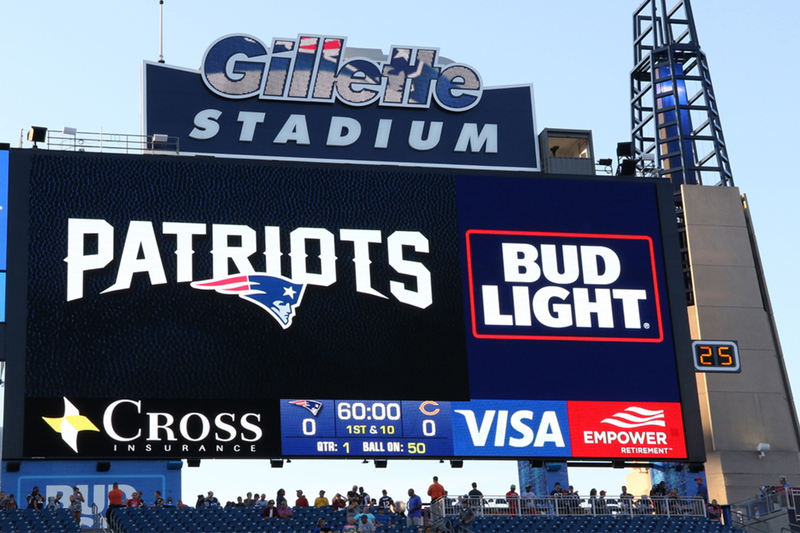 Display your logo, message, photo or video on two 45-foot tall, high-definition video boards to enhance your event in a spectacular fashion. Scroll award winners on our field length LED ribbon boards and illuminate the stadium during the evening to create a perfect backdrop. The perfect team building activity combined with iconic New England Patriots history. Have your next scavenger hunt at the New England Patriots Hall of Fame museum, The Patriots Hall of Fame presented by Raytheon. Bring your event to the next level with a guest appearance from a Patriots or Revolution player, alumni player or coach for autograph signings, clinics or speaking programs. Add an element of fun with Patriots Cheerleaders and/or the Patriots or Revolution mascots, Pat Patriot and Slyde.